is the pursuit of musical excellence at all levels, building self-esteem and nurturing the artistic and personal growth of our members. Spokane Area Youth Choirs serves singers between the ages of 7 and 18. 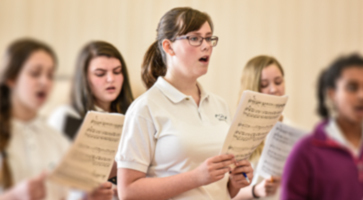 Choral education for younger students as well as an adult women’s choir are also offered. Spokane Area Children’s Chorus, serves young singers between the ages of 7 and 18 in the Spokane area. Join us. 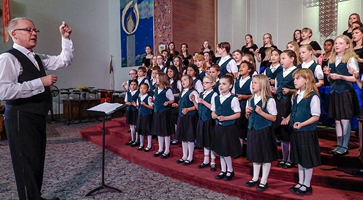 Spokane Area Youth Choirs, founded in 1987 as the Spokane Area Children’s Chorus, serves young singers between the ages of 7 and 18 in the Spokane area. 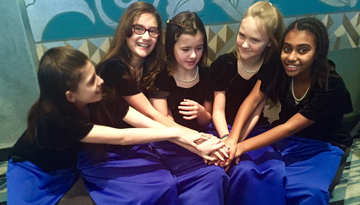 The goal of SAYC is the pursuit of musical excellence at all levels, building self-esteem and nurturing the artistic and personal growth of our members in a joyful and supportive way. Weekly rehearsals emphasize the development of musicianship, vocal techniques and performance skills. In addition to our annual concert series, the Chorus performs regularly with regional and local artists such as the Spokane Symphony Orchestra and Chorale and the Northwest Bach Festival.